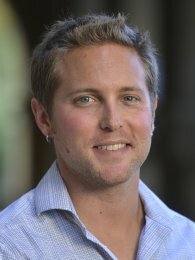 Andrew MacDonald is a disease ecologist, a National Science Foundation Postdoctoral Fellow in Biology at Stanford University, and an Assistant Researcher at the Earth Research Institute. He received his PhD from the Department of Ecology, Evolution and Marine Biology at the University of California, Santa Barbara in September 2016. His dissertation focused on the effect of land use and environmental change on tick-borne disease risk in California and the northeastern US. His current work focuses on coupled natural-human system feedbacks and land use change as drivers of mosquito-borne disease, with a focus on malaria in the Amazon basin.